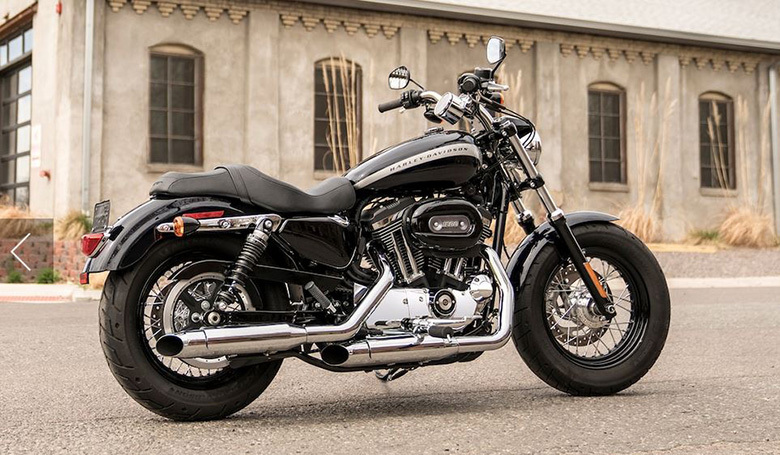 The new 2019 Harley-Davidson 1200 Custom Sportster is another impressive Sportster that comes with the chrome shorty dual exhaust engine. It features the bold graphics on its tank. Its comfortable seat ensures that the rider can have the better riding experience of all times. The overall design is kept stylish and attractive so that it also catches the second glance from others. 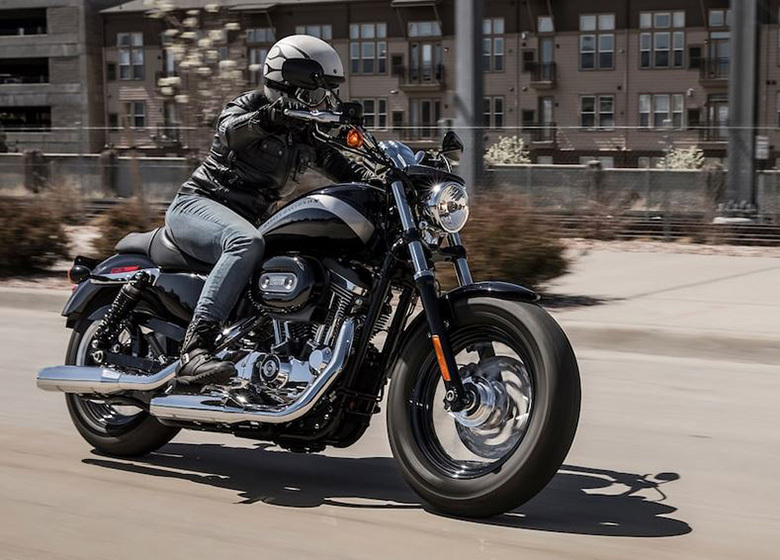 The review of new 2019 Harley-Davidson 1200 Custom Sportster with its price and specifications are given below. The new 2019 Harley-Davidson 1200 Custom Sportster comes with the amount of $10,999 only. The new 2019 Harley-Davidson 1200 Custom Sportster features the 1200 cc air-cooled evolution engine. It is renowned for its massive low-end torque with soul-satisfying sound. The overall lightweight aluminum heads and cylinder improves air-cooling efficiency. The new 1200 Evolution V-Twin engine contains the black rockers with the black chrome oval air cleaner cover and black-and-chrome timer cover. It features the chrome shorty dual exhaust that set against all that. 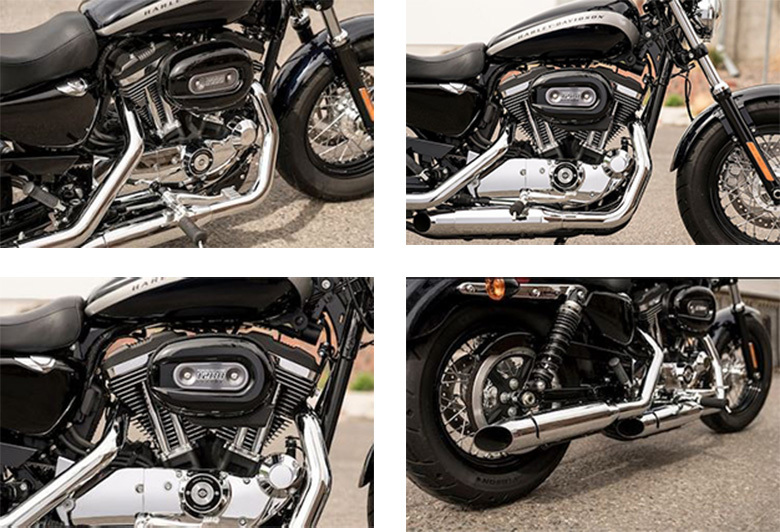 The new 2019 Harley-Davidson 1200 Custom Sportster delivers the heart-pounding performance with the soul-satisfying rumble plus it is designed to meet the future worldwide emissions standards. The new 2019 Harley-Davidson 1200 Custom Sportster features the bold and fast graphics with the racing stripe on the fuel tank like in 2018 Harley-Davidson 1200 Custom Sportster. The custom features outstanding standout wheels. The new sleek black laced steel wheels for the raw and classic look. The new 2019 Harley-Davidson 1200 Custom Sportster said to be a custom bike for the custom styled ride. Weight, As Shipped 562 lb. Weight, In Running Order 591 lb. This article is about the review of new 2019 Harley-Davidson 1200 Custom Sportster, and it is covered under the best review sites Bikes Catalog. 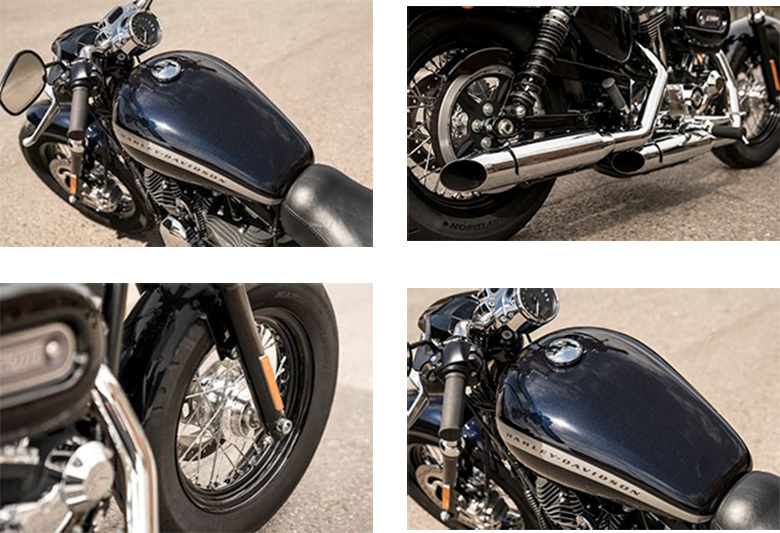 This Sportster features the powerful engine that can give an excellent performance during long rides. The chassis design is quite impressive and attractive. The seat height is kept low by keeping the comfort to its maximum. The braking and suspension system is another fantastic equipment that makes this bike interesting to ride on.